I was tagged by the awesome Jay @ This Is My Truth Now to participate in the Desert Island Discs Blog Tag. Make sure you check Jay out because he post daily with reviews, tags, and this challenge he calls the 365 Challenge where he talks about his characteristics. We also watch a lot of the same stuff so that is another reason to check him out. I’m getting ready to go on a short vacation so this seems like the perfect time to do this tag! 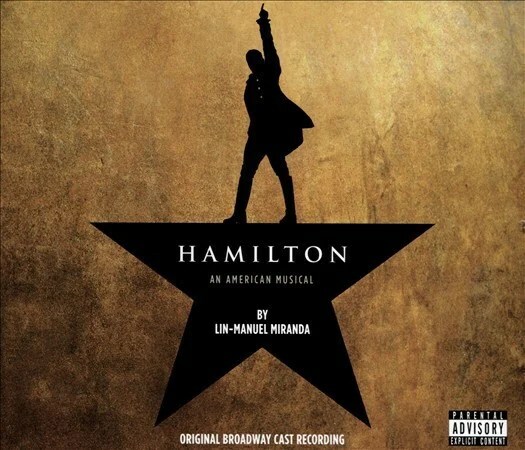 The Hamilton Official Album – I love Hamilton that the albums gets played at least three times a week. My parents are even learning the words to the songs and my dad doesn’t even understand why the made a play about Hamilton. So many great songs are on this album and I could listen to it forever and ever. Harry Styles – I was never really a Harry Styles fan. I didn’t even like One Direction. (Please don’t kill me!) After listening to parts of the album on Sirius XM and online, I can’t help but want to listen to these songs all the time. My favorite song is a toss up between Sign of Your Times or Sweet Creature. 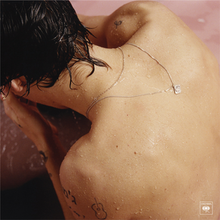 Something about this album made me rethink everything I thought I knew about Harry Styles. Me Before You Official Soundtrack – When I watched the movie, the music that was part of it was amazing. It has to be one of the best soundtracks I have heard in a while. The songs that were part of this album were so different but I loved it. I actually found several of my new favorite songs with this album. Plus, if I need a good cry, this is the perfect album to let me do that with. The 100 Season 3 Official Soundtrack – I listen to a lot of soundtracks. I really never realized that! I recently finished season 3 of The 100 and the music gave me life. It was powerful and so thought provoking that I would listen to it a million times. There is also a Clarke and Lexa theme song on this album and you have no idea how much I loved them together, even though I will always ship Bellamy and Clarke. Taylor Swift 1989 – This album is my jam. So many amazing songs are places on this album. I am a big Taylor Swift fan if you didn’t know by now. I still remember going to the store the day it came out because I needed to get my hands on this album. If I ever needed to have a pick me up, this is the album that would do it for me. Why do I only get to bring one book!?! I need like a million books because I love my books too much. But if I only needed to bring one book, I think I would bring Sarah J. Maas’ A Court of Thorns and Roses because of how much I love it and the fact it is perfection. I could read this book a million times and still be in love with it. No matter how many times I read this book, I always learn something new and I can fall in love with my boyfriend Rhysand over and over again. I could use so many things but to pick one, I would say soap. You have no idea how much you could do with soap. You could wash your hair, clean your body, clean food you find, etc. I would say toothpaste but there is probably a way you could brush your teeth with soap. Just give me soap and I will be good. And anyone else who would like to participate in this tag, feel like you have been tagged. What would your answers be for this tag? What is your favorite soundtrack? What movie has the best music in your opinion? What show are you currently addicted to? What book are you currently reading? How would you react if you were stranded on an island? Let me know your thoughts in the comments! Thank you for tagging me! I liked reading all your answers! I’d definitely bring ACOTAR too, I’d be glad to read it over! 😀 And I never even thought of soap! That’s so clever! I hope you fun doing the tag! Soap is just awesome (looks over in closet and sees her full bucket of soap because they smelt good and was on sale). I can’t wait to read your answers! Thank you so much for the awesome intro. I agree on Hamilton. Did you see the show on stage? Soap is the right answer, I so agree.